With about 1,400 km² the largest island of the Dodecanese group and fourth largest Greece in the Aegean Sea, It is also known as the "Pearl of the Mediterranean". The capital with three ports is also called Rhodes, the second most important city is Lindos. The island lies between the three continents Europe. Asia and Africa and therefore had already in the antiquity great importance for the trade. Probably brought before the Greeks the Phoenicians the viticulture on the island. To Homer (8th century BC) Rhodes participated with nine ships in the Trojan War. In 408 BC, the three largest cities of Rhodes allied and founded a new city on the site of the present-day city of Rhodes. Famous were the schools of philosophers, philologists and orators and the city was a center of shipping, trade and (even wine) culture. 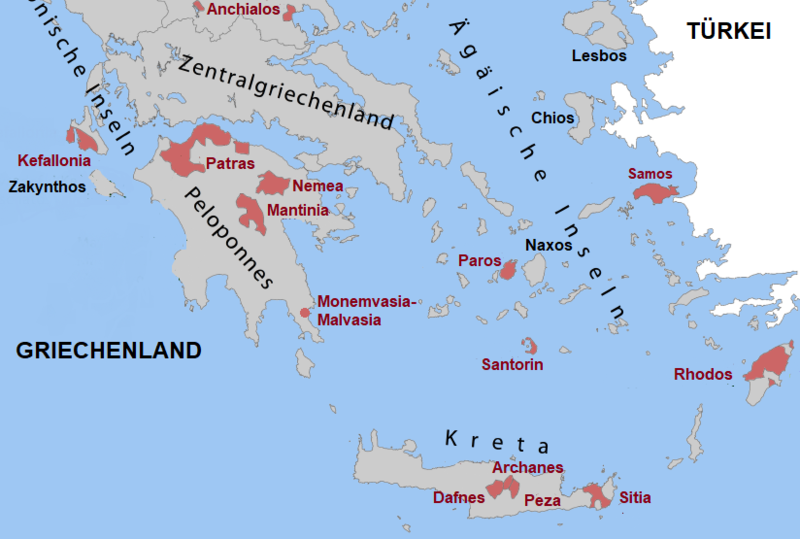 In the 7th century BC In the 4th century BC, the island became a major exporter of wine to the ancient world. The unsuccessful siege of Rhodes by Demetrios from 305 to 304 BC is one of the most famous wars in ancient history. The Rhodians sold the abandoned siege machines to the gigantic sum of 300 talents and thus erected the statue of the sun god Helios, one of the seven wonders of the world. The sculptor Charis from Lindos put in 12 years of work to 280 v. Chr. Chr. The bronze figure of the "Colossus of Rhodes" with 31 meters height ago. She was said to have been in the driveway of the port Mandraki; the ships passed through their thighs (today it is certain that the colossus must have been on the mainland). The figure was destroyed only 66 years ago by a large earthquake in 226 BC. Completely destroyed. 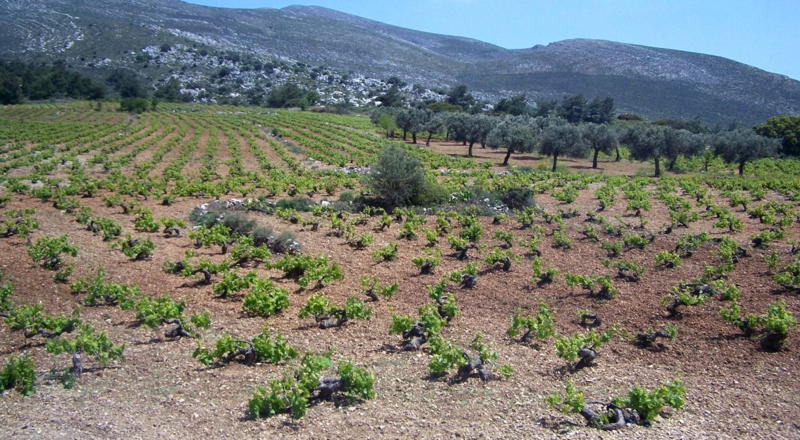 Due to the mild climate (there are only spring and summer) and 300 sunny days a year, Rhodes is ideal for viticulture. During the winter months there is a lot of rain and the summer also offers cooling winds from the north. The vineyards cover about 1,200 hectares of vineyards. The phylloxera arrived on the island, but the special composition of floors prevented a spread. There are still many on the slopes of Atavyros ungrafted and very old vines. The picture shows a vineyard in the traditional soil education form, which the Kouloura on the island Santorini is very similar. This page was last modified at 14 February 2018 at 13:52.